Movie promotions are now a thing of beauty. As the release date of Rajinikanth starrer Kabali draws nearer - 15 July is but round the corner - the film's PR team has kicked in with full force. 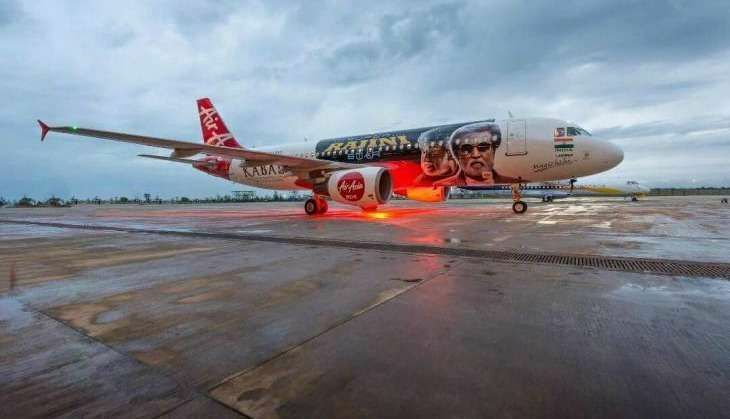 The movie's official PR partners - Malaysian airlines AirAsia has teamed up with Kabali and come July, it will fly fans from Bangalore to Chennai in a flight with Rajini-themed interiors and exteriors. And by that, we mean plenty of Rajini posters, a special menu and a gigantic Kabali poster on the sides of the plane. Since the film's hit song Nerupuda literally means 'on fire', lighting effects have been appropriately arranged to look like glowing embers. For those confused about the connection, in the film Rajini plays a don based out of Malaysia. The PA Ranjith-directorial film has already created huge interest and the craze for the action-thriller, thanks to the positive response to the film's teaser, its super hit music and of course the presence of megastar Rajinikanth. Despite the hype, the makers of Kabali are leaving nothing to chance and have gone all out to promote Thalaiva's comeback film after two years. His last release was Lingaa in 2014. According to NDTV, the same flight will also connect 10 other cities including New Delhi, Goa, and Pune.